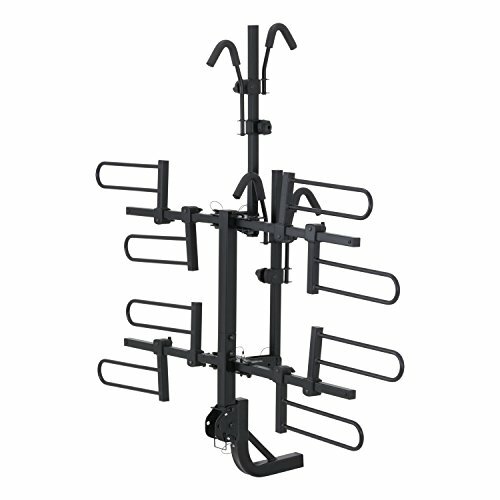 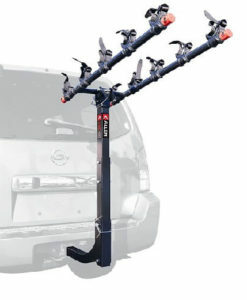 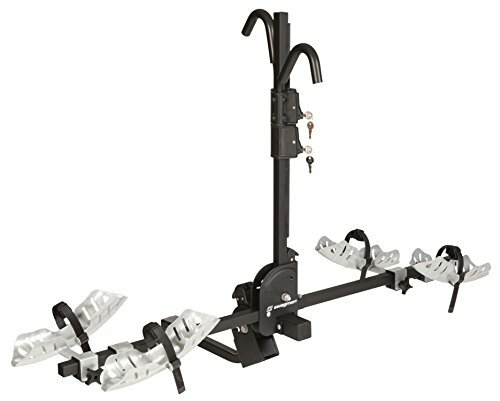 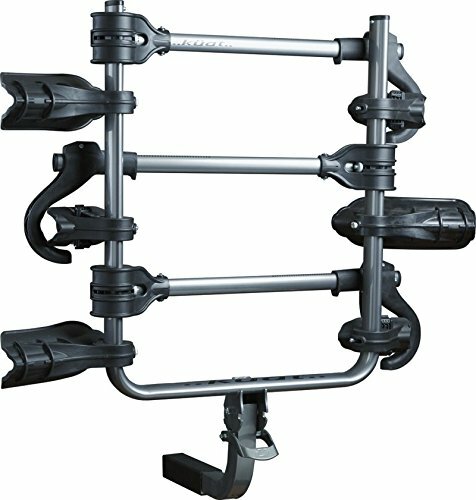 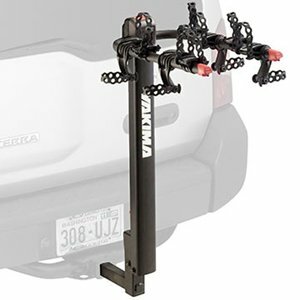 The Yakima DoubleDown 4-bike hitch mount rack is considered to be one of the most secure bike carriers yet at an affordable price. 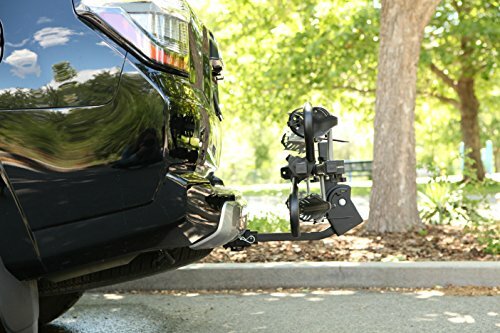 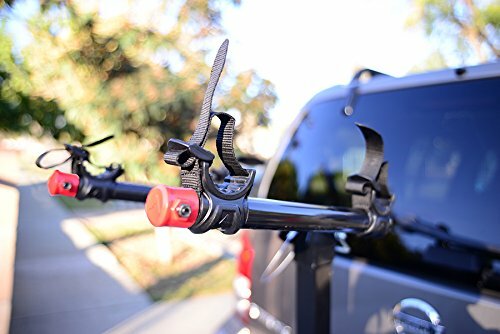 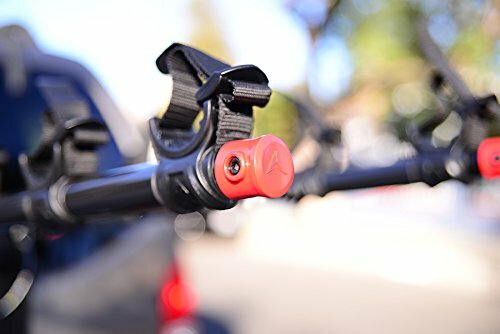 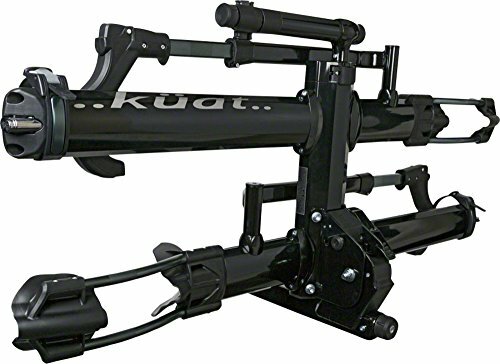 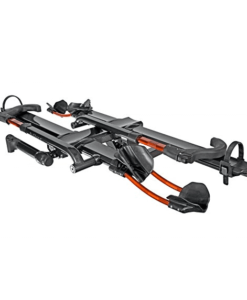 The Yakima DoubleDown 4-Bike hitch mount bike carrier for SUV will fit both 1.25″ and 2″ hitch receivers right out of the box and it tilts away for rear-of-vehicle access. 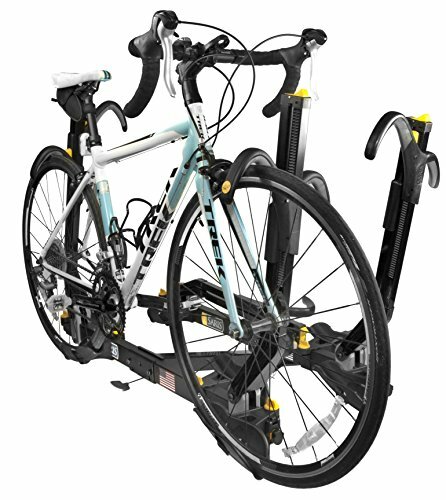 It comes in 3, 4, and 5-bike versions, so it’s perfect for families or riders with a lot of friends. 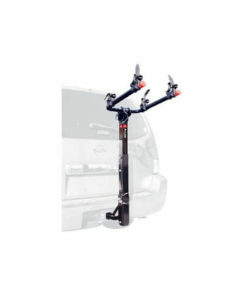 About 44” high & 36” extension from hitch bolt hole (13″ when folded.) 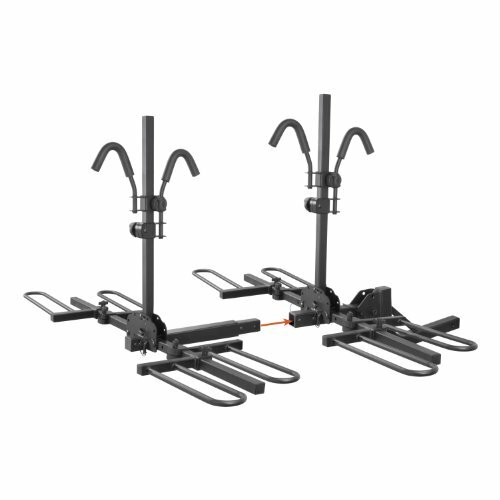 About 11.5” between back of mast and hitch bolt hole. 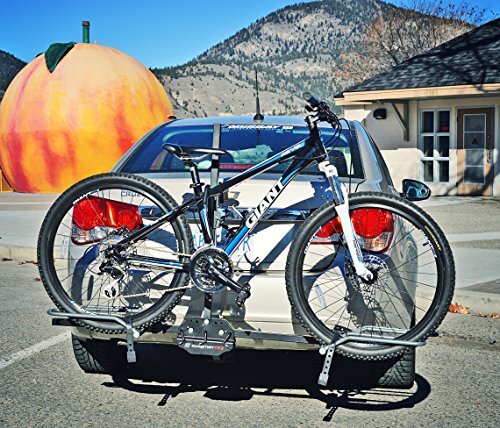 Distance from the bolt hole to part of the rack nearest the vehicle is 9″. 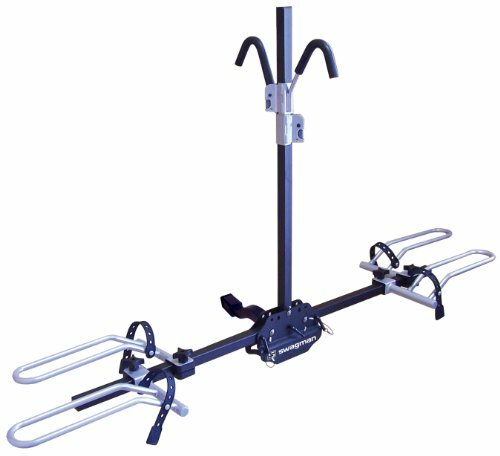 Distance between arms is 12″ (center to center). 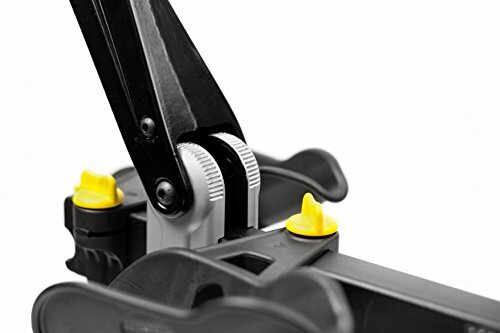 Arms are approximately 24.6″ long.